Continuing our annual tradition, we invited our regular contributors and colleagues, as well as some writers and artists, to select their moving image moment or event of 2010—anything from an entire movie or TV series to an individual scene or shot, from a retrospective or exhibition to a viral video or video game. From Manoel de Oliveira's The Strange Case of Angelica: The workers unearth the dust, sending it free, floating in the wind while Angelica lies peacefully, not moving a muscle. Shmulik Maoz's bluntly titled war film Lebanon is about the 1982 Lebanon incursion, but its true subject is the way Israelis live now. The film takes place entirely within the confines of a single tank staffed with four soldiers. The soldiers are trapped in their tank, unable to escape, and consequently, so are we. Events take place in the world outside, but it all has an air of unreality, as if taking place in a theatrical performance only dimly understood. Lebanon presents Israel as a nation of soldiers, trapped in a rusting tank, who can only see the world at large through the sights of a gun barrel. Unsurprisingly, everything looks like a target. 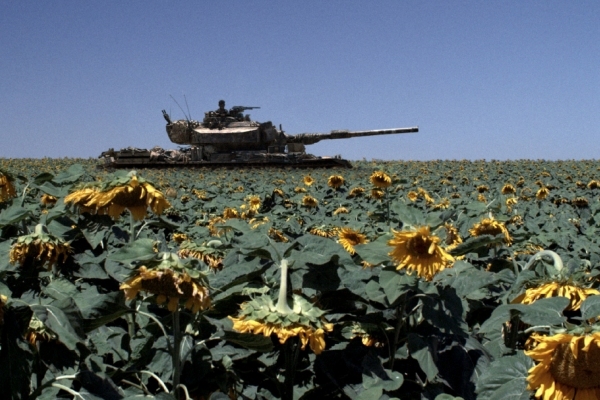 In the film's tantalizing final shot, we see the tank from the exterior for the first time, parked incongruously in a field of sunflowers. Maoz is attempting to critique the very disorder his film so ably documents. It's time to open the hatch and get out. Sometimes, the most you can ask from a movie is that it tell you the truth, and in doing so, show you the world in a new way. 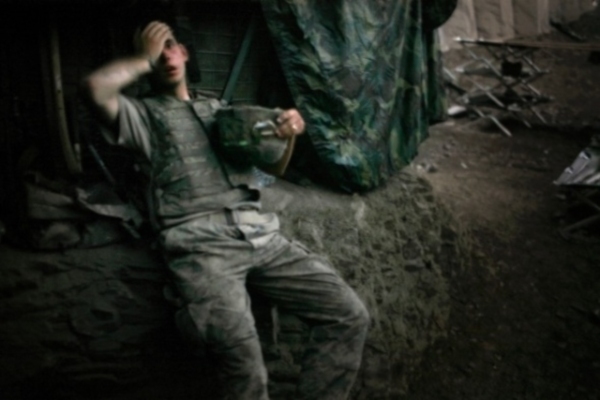 No moving image I saw in 2010 accomplished that as vividly as Tim Hetherington and Sebastian Junger's documentary Restrepo. In particular, the scene in which a young soldier, in the middle of combat, breaks down in terror and tears when his platoon mate is killed is something I have not been able to shake, nor do I want to. No single movie or book could capture the complexity of the war in Afghanistan, but this film forces its viewers to confront a reality that it has become far too easy to blur or abstract. In his New York Times review of the film, A.O. Scott suggested that we have a moral obligation to give this movie 90 minutes of our attention. I can't think of any recommendation less likely to make someone see a film. But the thing is, he's right. No moving image this year was more horrifying than the live feed coming from cameras aimed at the Deepwater Horizon oil spill this summer. The frustration, anger, and helplessness were simply nauseating as we watched 50,000 to 60,000 barrels of black death spew relentlessly into the Gulf of Mexico. Not that it was really the best film experience of the year, but I've chosen to mention seeing Fritz Lang's Cloak and Dagger (1946) in 35mm at the Shimo Takaido Cinema, a small independent theater not far from my apartment—reason being that I'm in favor of the institution of the neighborhood theater, in favor of leaving the house to go see something on the screen, like a Fritz Lang film (especially a minor one, which needs all the help it can get). To appreciate how meticulously he's directed the actors' hands and movements the viewer should confront the film as a vast alien space, just as the last 15 minutes of Cloak and Dagger should be seen projected bright and crisp in a dark theater so that the love and energy Lang put into orchestrating his mini-symphony of architectural-model-like work (a house of Italian partisans under Fascist siege at night, a forest for the heroes to cross in peril, a small field for a hurried plane landing) can be seen and felt; and to appreciate all this fully, one should be in a theater with strangers whose responses to the film can't be known, so that the whole experience, form and feeling combined, is charged with that secret electricity (in the consciousness that each moment, furtive as it is, is also irrevocable) that once belonged to cinema. Despite reminding us of the myriad lessons still to be learned from the New German Cinema of the 1970s, 2010 didn't exactly find the Neue Deustche Film new again: no sooner had one of its long-elusive wonders—Rainer Werner Fassbinder's two-part, 1973 science-fiction soap opera/disco-era headache/parallel universe mindfuck World on a Wire (Welt am Draht)—resurfaced at MoMA in a beautifully remastered edition from the Fassbinder Foundation, when the legendary master and least-appreciated German filmmaker of RWF's generation, Werner Schroeter, passed forever away. A giant of the cinema of the grand-gesture-on-a-dimebag-budget (cf. Jack Smith, George Kuchar, et al), Schroeter was forever dreaming up and piecing together parallel universes of his own—dizzying alternate dimensions like the epochal 1973 The Death of Maria Malibran (finally available on DVD from Edition Filmmuseum), where a slow camera move into the swamp of stage makeup that is Candy Darling in blackface crooning the "St. Louis Blues" manages to say more about the life and death of a previous century's art forms (high opera and low minstrelsy, if not, by extension and from our early 21st-century vantage, cinema as the celluloid occasion we once knew) than much of our so-called modern filmmaking has yet begun to understand. Nothing was more compelling than the latest season of the HBO series In Treatment, in which psychotherapist Paul Weston (Gabriel Byrne) begins his own talk therapy with a young new doctor (Amy Ryan). She nails him on all of his rationalizations and offers devastating insights into his psyche and his practice. Their verbal duels are sharply written and Byrne, who must carry every episode, creates one of the deepest, most soulful characters to be found on television. 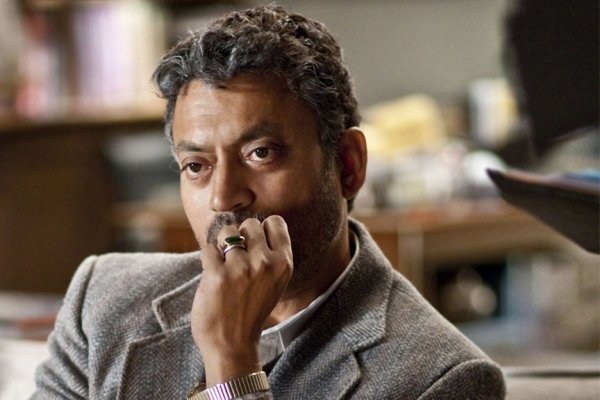 Also award-worthy is the performance of Irrfan Khan as Paul's reluctant patient Sunil, a retired Bengali math professor who has been forced to move to New York to live with his son. 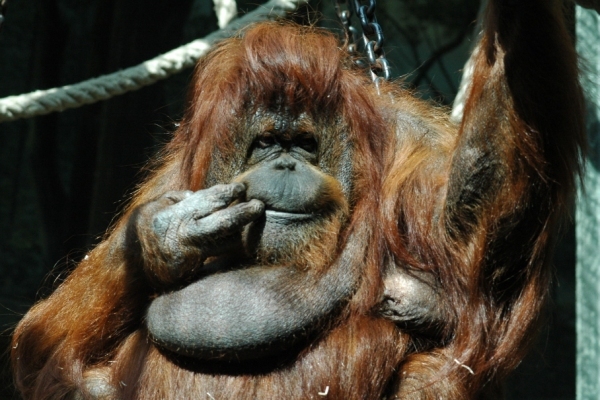 On behalf of Film Forum: we thought it very funny that Gossip Girl, a popular TV show, would feature a conversation by two characters talking about seeing Nénette, Nicolas Philibert's documentary on an elderly orangutan in a Paris zoo, at Film Forum. It's at approximately 40:20. I select the work of João Vieira Torres, a new iconoclast voice that I'm sure will revolutionize Brazilian cinema. In a so-so year for movies overall, it was good to see that some of the strongest films in dramatic and aesthetic terms also had clear political dimensions, and progressive ones at that. Closely following Kazuo Ishiguro's novel, the screen adaptation of Never Let Me Go portrays a generation of involuntary self-sacrificers whose passivity and resignation poignantly reflects the submission to ingrained norms that weighs down our real-world culture today. Todd Solondz's brave Life During Wartime shows a compassion toward despised outsiders that few mainstream filmmakers would dare to show. Sofia Coppola continues her extraordinary artistic growth with Somewhere, a moody and riveting sojourn with a celebrity whose key image in the film—his head encased in plaster, then unveiled as an abruptly ancient doppelgänger of itself—amusingly captures the way so many in our privileged classes stifle within cocoons of money and comfort, only to emerge, if at all, just in time to wither and die. White Material finds Claire Denis still near the peak of her powers, Secret Sunshine is innovative and excellent, and The Social Network is as smart, savvy, and skeptical as any Hollywood entertainment in recent memory. Less political but equally worthy are Stone, with its provocative metaphysical questions, and I Am Love, as achingly lovely as its title. Alarmists to the contrary notwithstanding, cinema is emphatically not dead. 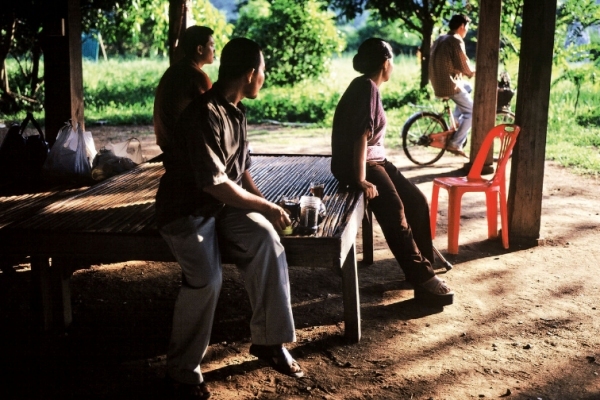 Korean director Lee Chang-dong's Secret Sunshine is a difficult and mysterious film but also a deeply rewarding one, a spiritual journey as few films are these days. At its center is Jeon Do-yeon in a stunning and hair-raising performance as a young widow, trying to find a place for herself and her small son in a new town. Hit by unutterable tragedy, she turns to Christianity. In a scene worthy of Bresson, she goes to prison to visit and forgive the man who has essentially destroyed her life, but finds that God has gotten there first. The radiance leaches from her face as, instead of a shriveled and guilty criminal, she finds a man robust and glowing with his own born-again beatitude, thus robbing her of the purpose that would have been her salvation, too. Though I initially dreaded the prospect (due to an extraordinarily difficult year emotionally), I had the great fortune of working on Criterion's Eclipse release The Actuality Dramas of Allan King. Whatever I had heard about this late Canadian documentarian had come from my Toronto critic friends; down these parts his name mostly elicited a confused response ("You guys are working on a set of films starring the late Borscht Belt comedian?"). Yet rarely does the overused word "revelation" apply so completely. Even for cinephiles diligently reared on Wiseman, King's films should register as unique: sure, the studious doc hallmarks are all there (observational, patient, searching), but these are something different entirely, which is why King called them "actuality dramas" and not "documentaries." Narratives stitched together from fly-on-the-wall shooting methods, these are exhilarating, tightly focused contemplations of life's cycles (stretching from the late '60s to the mid-aughts), and no image better expresses his rigor and compassion, or more affected me this year, than those which make up his 2003 work Dying at Grace. In only 140 or so minutes, King brings viewers closer to the experience of death than they ever imagined, following five blinkering lives in a Toronto palliative care hospital. The patients graciously allowed the cameras to follow them (mostly) during their final months, in some cases, right up to the end. 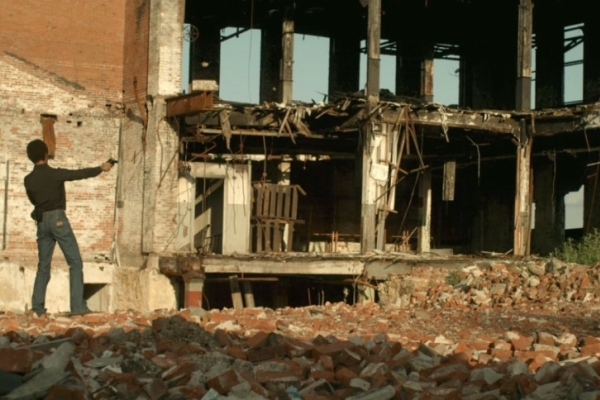 These moments—cathartic, terrifying, restorative—dissolve questions of exploitation or documentary ethics and simply remind one of the powers of the moving image itself—that no other art form can as thoroughly be in two places at once: we watch detached while also wholly taking on the subjects' fear, denial, and finally, acquiescence. That King doesn't simply show these scenes as they are (which would be powerful enough in any context), but weaves them into a complexly structured, cross-hatched narrative, is testament to his artistic bravery and brilliance. A most stunning moment for me in 2010 movie-going came early in the year at a Sundance press screening of Debra Granik's chilling Winter's Bone. The moment comes toward the end of the film when, in the dead of night, Ree not only "finds" her father thanks to Merab, a terrifying matriarch, but with the help of a lantern and a chain saw, is forced to prove he has been located. Enough said, but believe me the context is virtually everything. One of the most moving cinematic experiences I had this year was watching Another Year: the characters played by Ruth Sheen and Jim Broadbent are beautifully emblematic of ripened marital affection. They are so comfortable in their own skins (individually and in tandem) that others can't help but gravitate to them (including the viewer). Mike Leigh's long takes express his affection for characters as well as actors. Capsule #1: "Lowlands (Peter Thompson). 'Exploring the effects of war upon domestic and creative life' via the wife and widow of Vermeer, and culminating in one of her dreams (in the form of a masque and oratorio), this 59-minute marvel by Chicago's best (and least known) filmmaker—see the Fall 2009 Film Quarterly for more details—also delves into 1996 Bosnian war crimes, Vermeer's paintings, and startling rhyme effects between the two." Capsule #2: "I've described Chicago filmmaker Peter Thompson's awesome, provocative, and highly original work in some detail in the Fall 2009 Film Quarterly. This 51-minute, experimental exploration of 'the effects of war on domestic and creative life,' which premiered at the Anaheim International Film Festival in October, focusing largely on Vermeer's wife and widow, Catherina Bolnes, boldly cross-references the 1996 criminal trial of a Bosnian Serb with one of Vermeer's major paintings, and culminates in an original oratorio (in Dutch, no less) that illustrates one of the heroine's dreams after her husband's death and the loss of their property." There are a few illustrative lessons here about some of the recurring conflicts between film history and marketing protocol. Annual 10-best lists invariably oblige reviewers to limit their contenders because they won't have time to watch the screeners until during the holidays anyway; and for those reviewers who live outside New York and Los Angeles, they won't have had earlier occasions to see a good many of these films otherwise. (I only caught up with Tiny Furniture, for instance, one of my favorites, well after all the 10-best deadlines had passed.) Experimental filmmakers, out of necessity and/or temperament, tend to live in geological time when it comes to premieres and releases. (Lena Dunham is an obvious exception, but if she weren't a New York filmmaker we might well not have heard of her yet.) And former reviewers like myself who step off the train of regular reviewing are apt to be even further removed from the arbitrary release dates assigned to a good many films. In the "old days," it was easier to sustain the illusion that those release dates were sufficiently shared on a national basis to make 10-best lists meaningful. But of course this was only because, then as now, commercial releases served as the gold standard by which all of cinema is catalogued and measured. Practically speaking, many of the edgier and more precious independent efforts can't be said to "belong" to any particular year—which is one more reason why they're apt to get lost. Animated gifs constitute one of the richest genres of what's been called digital folk culture; the store of home-brewed, computer-based creative work that, like traditional folk culture, is generally made by non-professional artists, or people who don't intend to make "art" at all. Gifs are the result of intense cathexis, successors to structural film's obsession with loop printing and repetition, and the most basic, and often basest, endpoint of what Tom Gunning labeled the "cinema of attractions." In September, artist Evan Roth released Cache Rules Everything Around Me, a video he described as "My entire animated .gif collection set to Girl Talk's classic mashup album Night Ripper." Clocking in at about 10 minutes, and consisting only of moving image fragments that someone, somewhere found fascinating enough to isolate and repeat, Roth's video is an ecstatic X-ray of the Internet's subconscious. Some of the most arresting moments arise from ingenious image-sound conjunctions; my personal favorite occurring around 5:15, when Spiderman and friends seem just too-perfectly choreographed to Girl Talk's sample, although Patrick Stewart's dance, seconds later at 5:35, might be a close second. Two independently made video games opened up imaginative space for me in 2010 at a time when indie and browser-based games are gaining an ambiguous popular prominence. 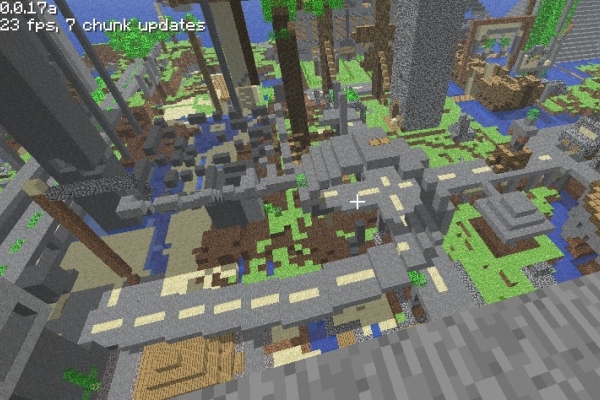 Minecraft, a remarkable block-based sandbox created by a single developer, expands like a funnel of loneliness and individual perseverance, leaving the player in a unique, randomly created, and procedurally generated world of destructible, craftable, and constructable pieces bordering on abstract ("tree," "sand," "lava," "bone") that can be removed and reconstructed into a hodgepodge or a (vacant) civilization—the latter proving ideal as the sun sets and the world's hostile nightlife reveals itself. Best to mine, as the title suggests, to find precious resources that can power further malleable construction of the world around you (how creative can you be? A hut? A castle? A lava lighthouse and gem-powered minecart?). But the game's greatest expression isn't the free-form lack of directive, but rather the celestial omnipotence-fragility of the atmosphere conjured by being plunked down as the lone sentient being in such a world, with infinite resources and possibilities at your fingertips, a literally endless world to explore forever, and nothing but the deepest darkness of caverns and the hiss of the night creatures to share it with. Neptune's Pride, on the other hand, an entirely browser-based multiplayer strategy game whose simplicity and malicious engine has already done much to deepen and sinister-ize the currently grotesque industry playing field of so-called "social" games, fills space only with humans, and that space proves how awful humans can be. The game is strategy gaming stripped to its purest forms of conquest and economic-militaristic research and construction, all in a highly focused universe of limited resources (planets) and tenacious consumers (other players), and most importantly operating on an incredibly slow time scale, where ships move in real time, taking days to reach planets and unable to be turned back after being sent out. The challenge comes not in the mechanism of interacting with the game system (attacking and capturing a planet, choosing where to invest money, etc.) but in the devious communictive creative space created between players where ephemeral alliances and fragile promises must be made to most to fend off the conquest of all. With no set alliance or trade mechanism in place, the airwaves of the galaxy are filled with whispers and shouts of threats and assurances—wheeling and dealing, again, in the purest form, where the only way to back up one's word is with one's action, but when one's actions are enacted in inexorable and irreversibly slooooooow motion of galactic conquest with limited visibility of what's going on in the other corner of the map, who is reliable and who is not. The result of this is a game made up of hyperwrought and nefarious negotiations followed by excruciating waiting for confirming information, followed by the devastating dismay or joy as the timescale finally, after hours (or days) of waiting reveals the results of the ambiguous social labors, stabs in the dark and stabs in the back. Never have virtual friendships been tested in such extreme and pure environments. I've played it a few times and I never want to play it again—it is far too anxious and painful an experience. There have been many wonderful film "moments" this year—I'm sticking to moments in individual films, rather than those simply related to film—and I was tempted to include moments from Nostalgia de la luz (Patricio Guzmán), Father (José Maria de Orbe), Aurora (Cristi Puiu), Lourdes (Jessica Hausner), and Certified Copy (Abbas Kiarostami), not to mention the closing minutes of Allan King's Dying at Grace, with which I just very belatedly caught up on DVD. But I suppose the single moment that brought me the greatest satisfaction was the long shot (long in both senses of the word) in Michelangelo Frammartino's Le Quattro Volte—a minor miracle of mise-en-scène involving a large cast of non-professional villagers, a truck, a pebble, and a small yappy dog who really deserves an Oscar. This quietly virtuoso sequence, building on the distinctively laconic, fragmented yet fluid storytelling style of Frammartino's debut Il dono, shows that one may mix fiction and "reality," do something unusually experimental and philosophical, and still make it funny and exciting. Let's hope it reaches audiences! Best performance by a dog: Vuk, the border collie in Michelangelo Frammartino's Le Quattro Volte. The clip of his award-winning scene is under "Extras" on the official website. A year for marvelously perverse subversions—to take from the title of the Pompidou's Surrealist exhibition, "The Subversion of Images," which ended upon the discovery of Robert Bresson's "Untitled" advertising photograph of a forest of toothbrushes planted in a desert mound, glistening under a moonlight sonata. A commercial job from 1931—a couple years shy of his first film—the photograph is playful and strange and unlike many of the filmmaker's famous images to come. It reveals, distorts, upends, capers, and gambols in its adumbral Surrealist setting. As if following suit to Bresson's displaced brosses à dents, Godard's "Navajo" subtitles, defying the sense and flow of his dialogue in Film Socialisme, Oliveira's charming use of archaic, pre-Renaissance grisaille special effects in The Strange Case of Angelica, Joe's monkey ghost suits in Uncle Boonmee Who Can Recall His Past Lives, Lodge Kerrigan's endless hall of mirrors in the disabused Rebecca H., Ken Jacobs's pesky, domestic seditions, and T. Marie's grand, translucent, and simultaneously backlit and projected moving paintings—subversion was the modus vivendi of this year's cinema. 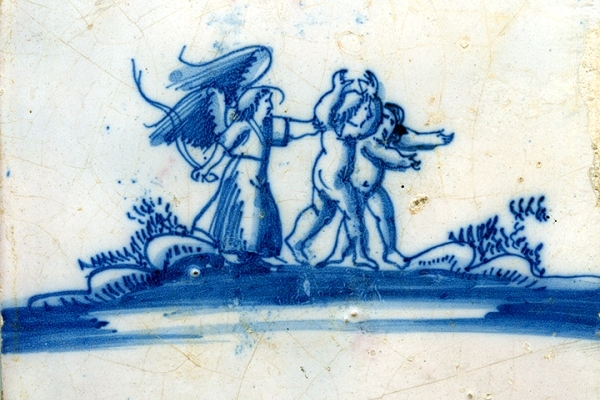 Subversions from the recesses of image history, from the annals of Medievalism, various avant-gardes, and from pop culture all conspiring, like those sand-planted toothbrushes—fixed in time and inert, but ever in on the joke—to regain and to give again with a form both familiar and completely novel. Adam Curtis's blog was more provocative and entertaining than most of the films I saw in 2010. One of the world's most inventive documentary filmmakers, Curtis, whether discussing the history of advertising or the war in Afghanistan, always finds a way to subvert received wisdom. I'd like to submit Representative Anthony Weiner's rant at the outrageous conduct of the Republicans in Congress. I am going to mention a video that is no longer online. It snuck in during the last days of 2010 as part of the It Gets Better in Malaysia campaign. A 32-year old Malay Muslim engineer/writer says, "Saya Gay, Saya OK (I am Gay, I am OK)"; nothing like this has ever happened in the country. The initial comments on YouTube were overwhelmingly negative, and the video has now been taken down by the organizer after several death threats. As a friend and supporter, I hope things will indeed get better. I am reminded once again of a favorite saying of Yasmin Ahmad's, which she attributed to Jewish tradition: "How can you love God if you can't even love human beings?" Among those few films that crossed my path in 2010 and lifted my sometimes flagging faith that watching movies was still a worthwhile use of my time (among them, Minda Martin's Free Land, Uruphong Raksasad's Agrarian Utopia, and Jean Eustache's Numéro zéro), I will single out Melancholia by Lav Diaz. 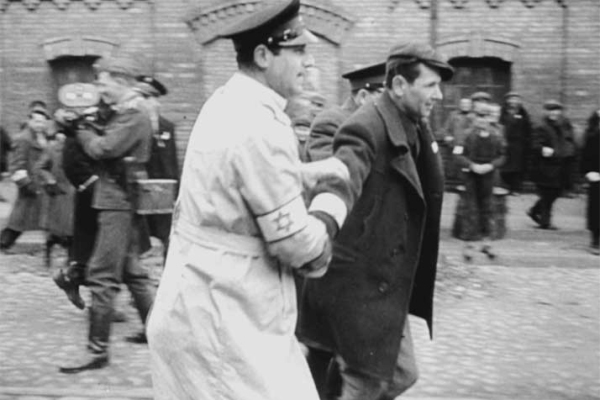 From eight hours of sustained indelible imagery, I cite here but one moment. Deep in the rain-drenched forests of Mindoro, Philippines, Renato—lone surviving member of a band of leftist rebels, faced with the inevitability of his death and of never again seeing his beloved to whom he has been periodically writing, tears out the pages of his notebook, tossing them bitterly into the swollen river. In voiceover he laments how he now realizes "the lyrical madness of this struggle," the inability to romanticize in any way the hellishness of the social and political realities he's known. In a moment of delirium amidst despair, Renato continues to dash off invisible messages onto palm leaves that he sets adrift downstream. There is something in this impulse, both by the character and by Diaz, to still locate a kind of poetry, unforced and inchoate, in the depths of anguish which gives me a measure of hope—and not just for cinema (though that too). In composing his Los Angeles city symphony of signs Get Out of the Car, Thom Andersen turns up the radio, amps up the idiosyncrasy, and, as he calls it, engages in a 16mm act of "militant nostalgia." Every single choice in this wonderful film is personal and meaningful, but what sticks most in my mind is when Andersen drives out of Los Angeles proper and shoots a self-contained chapter in the city of El Monte, "where the future meets the past." Perhaps I remember this because of the hopelessly nostalgic music, "Memories of El Monte," written by Frank Zappa and Ray Collins for the Penguins—a song that contains within itself references to other songs, capped by Cleve Duncan singing a few lines of "Earth Angel" (if I'm not mistaken, it's the longest song excerpt Andersen includes on the soundtrack, at about 68 seconds in length). But the music interacts with very special images—the sequence ends at a post office employee parking lot, the former site of El Monte Legion Stadium. 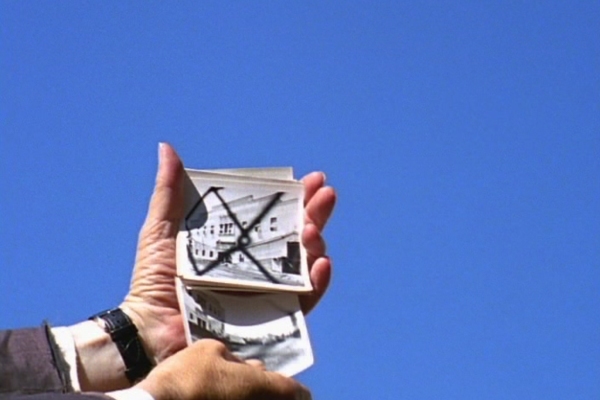 There we see Andersen's own hands onscreen holding up, then flipping through, black-and-white pictures of the stadium against a dazzling deep blue sky, at the same time a tribute to a forgotten place, and a genealogical move by which Andersen aligns himself with the Los Angeles avant-garde of Morgan Fisher (Production Stills) and Gary Beydler (Pasadena Freeway Stills). Andersen included this comparatively straightforward chapter, a kind of film within the film, to pay tribute to radio DJ, concert promoter, and record-label owner Art Leboe (to whom, along with his fellow "guardian of history" Johnny Otis, Andersen dedicated Los Angeles Plays Itself). As one of Andersen's precious handmade interventions explains, the stadium was "home of rhythm and blues dances during the 1950s promoted by Art Leboe, Johnny Otis & Hal Ziegler." (El Monte is also where Timothy Carey filmed The World's Greatest Sinner, with soundtrack by Zappa, who in turn gave El Monte Legion Stadium a cameo in Uncle Meat's "Dog Breath, In the Year of the Plague"). The sparkling clarity of this sequence also serves to drive home that each image in the Straubian Get Out of the Car, whether a billboard with weatherbeaten cell phone ads, a mural of the Virgin in a kitchen appliance store, two headless chickens wrestling, or an old, worn-down church in Watts, bears within it a present or future historical memory that doesn't (or won't) ask to be revived, so it's upon us to be proactive and wake it up ourselves. Which means it's time to blast the Los Tigros del Norte. Fiction/nonfiction hybrid films—from the sublime (Alamar) to the ridiculous (I'm Still Here)—seemed to be everywhere in 2010. 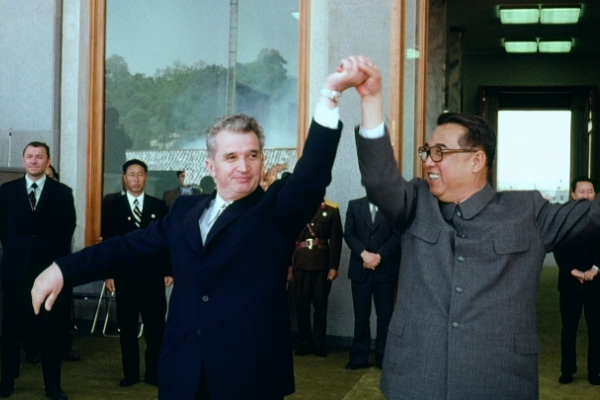 Sharpest of all was Andrei Ujica's The Autobiography of Nicolae Ceausescu, which not only coyly poses as the Romanian dictator's memoir, but does so through a rich assemblage of footage from the state archives and extremely detailed foley work to "fill in" the sonic gaps in the original material. In 16mm, Super 8, and fuzzy handheld video, with meticulously recreated crowd chatter, machine and traffic noise, and, weirdest of all, Ligeti's Poème symphonique for 100 metronomes, Ujica reveals the schlubby, bureaucratic bogeyman of modern Romanian history as he purportedly would have wanted himself represented: glad-handing foreign dignitaries, presiding over committee meetings and public assemblies, and hunting bears with his buddies. It's a subtle balance, a phony apologia told through the mythologies of state-socialist pomp and circumstance, but it's curiously sympathetic, too. With images of Ceausescu cowering in the presence of Mao and Gorbachev, fudging answers to questions about Marxist ideology, and cheating at volleyball, Ujica's film is an epic tragicomedy of bumbling hubris. Thirty years after Roger Waters wrote The Wall, its main theme has prevailed even though the categorizations for many of its concepts have a different name—we continue to construct walls to separate each other. The world tour that kicked off in September 2010 gives a good dose of self-awareness to a mass concert public. I have chosen the visuals that accompany Goodbye Blue Sky. Flocks of white doves fly away leaving the sky empty to be filled by waves of B-52 bombers over cities, dropping loads of signs: a crucifix, a hammer-and-sickle, a Star of David, a crescent-and-star, a Mercedes sign, a dollar sign, and a Shell Oil sign. This concert uses images very effectively to resucitate a pop icon, The Wall, and to echo issues that can awake an audience. My moving image moment of the year is the sunny afternoon in Cannes when I was able to give a helping hand, a pair of shoes, actually, to a friend of mine who would later walk them up the stairs to receive the recognition he deserved. It may not have been Ten Days That Shook the World, but this year's edition of Cannes produced a kind of sea change unlike any Cannes before it. To be seated in a row of the Salle Debussy filled with press watching the video beam of the Palmes with fellow supporters of Apichatpong's Uncle Boonmee Who Can Recall His Past Lives was to experience the woozy sensation of hoping for the best and expecting the worst. Tim Burton was jury president—would he respond to Joe's magical mystery tour of the northern Thai jungle with dying Boonmee and a cast of humanoid monkeys, princesses, doppelgängers and a catfish, or go the usual conventional Cannes route and award Xavier Beauvois's fine but hardly groundbreaking Of Gods and Men? Most of that room, of course, leaned to the Beauvois, if only because they didn't like Boonmee for reasons they couldn't articulate either in print or to your face. For me, it was very much like cheering for the Dodgers in a room full of Yankees fans, and in the end, it was 1963 all over again, and Joe/Koufax struck 'em out. The excited cheer that rose up in our row wasn't quite like anything I'd ever experienced at a film festival before: A moment of disbelieving, then believing, triumph, a victory of cinema over that which passes for cinema (not Beauvois, but we know what I mean), then a lingering and finally certain sense that something fundamental had shifted, a movement toward acknowledging what adventurous cinephiles had known for years and was finally made official. Cinema can be liberated from its old constraints. The art form need not be afraid of art. Story can move beyond story. That's the potential impact that a Palme d'Or can have, never mind the prize's irrelevancy to distributors' bottom lines. I also took this moment and projected back into Cannes history, 50 years back to the crucial year of 1960. What happened in 2010 was what would have happened in 1960 had L'avventura won over La dolce vita. The myth that cinema has been in a state of steady regression is crushed once and for all. The moment when the son returns home as a giant hairy ape, joining family in Apichatpong Weerasethakul's Uncle Boonmee Who Can Recall His Past Lives. This everyday magic, which so exactly responds to cinema itself, this moment of surprise, emotion, burlesque all melted up in a quiet grace is unforgettable—as is the whole film. 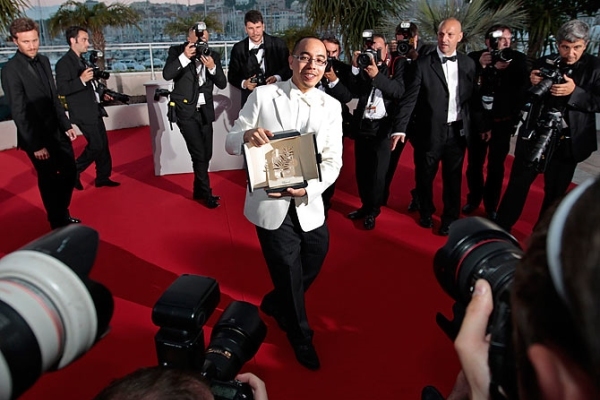 Its intensity does compare with Apichatpong's face when receiving a completely unexpected, though so much deserved, Palme d'Or. Weimar Cinema, 1919-1933: Daydreams and Nightmares at the Museum of Modern Art: My personal revelation from this massive survey are the early sound comedies starring Lilian Harvey: Three Good Friends (1930), The Congress Dances (1931), and A Blonde Dream (1932). The camera in all three is remarkably mobile, tracking Harvey as she rises up and down the social ranks of these class-conscious operettas. Her performances cover just as much ground. She can expand her bright saucer eyes into a bashful doll's, or narrow them for a flash of insouciant wit, while her graceful pirouettes can swiftly turn into sullen collapse. Since all three films have different directors, I'll place the light-as-air wonder of the films, and of her performances, at Miss Harvey's nimble feet. Though 2010 was a somewhat underwhelming year by the measure of theatrical releases, it was an embarrassment of riches for ambitious moviegoers able to sample festival fare (Uncle Boonmee, The Autobiography of Nicolae Ceausescu, Poetry, Mysteries of Lisbon) or willing to seek out welcome DVD releases like the new Blu-rays of Terrence Malick's The Thin Red Line or Disney's Fantasia. 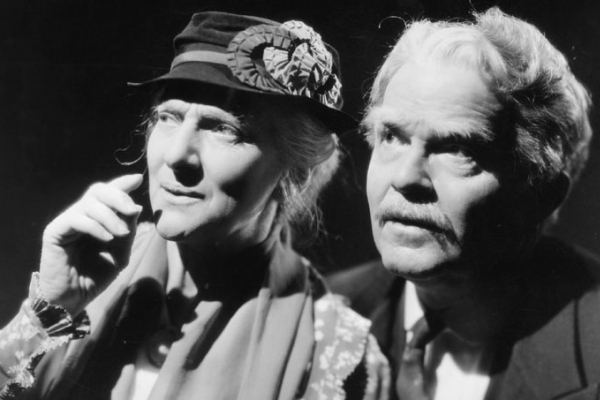 And even in this distinguished company, Leo McCarey's 1937 film Make Way for Tomorrow, which Criterion put out on DVD in February, was, perhaps, the most indelible cinematic experience I had all year. Make Way for Tomorrow, an inspiration for Ozu's masterpiece Tokyo Story, follows Barklay and Lucy Cooper (Victor Moore and Beulah Bondi, in shattering performances), a couple married 50 years with five children. After they lose their house in the midst of the Depression, they are forced to separate and move in with their largely unwelcoming children. McCarey, who won an Oscar that year for The Awful Truth ("Thanks," he reportedly said, "but you gave it to me for the wrong picture"), takes an even-handed approach for most of the film, eliciting sympathy for the couple, while empathetically registering the difficulty their children face in maintaining independent lives at the same time that they are expected to provide a hospitable atmosphere for their disruptive guests. The scales decisively tip in the movie's heartbreaking final act. Eventually, Lucy is forced to move to a retirement community, and Barklay is shipped to California to live with their daughter. Before he leaves on the cross-country journey, the couple—knowing they will never see each other again—enjoy a five-hour reverie in New York City, retracing the steps of their honeymoon, dancing and drinking at the Hotel Vogard. As they say goodbye, knowingly, lovingly, at Penn Station, Lucy tells Barklay, "In case I don't see you. Well, for a little while, I just want to tell you, it's been lovely. Every bit of it. The whole 50 years. I'd sooner been your wife, Bark, than anyone else on earth." 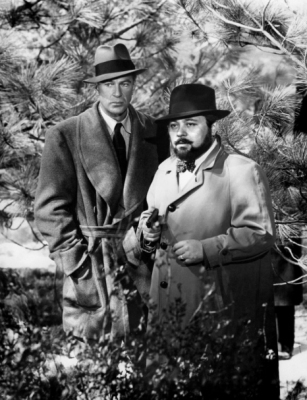 Speaking of the film, Orson Welles said, "It could make a stone cry." Indeed. I remember how bowled over so many of us were in 2007 with the unexpected bounty of great films from international auteurs. With some distance, the judgment holds, but a lot of those films achieved their power through a kind of standoffishness, an ostentatious greatness and self-sufficiency that invited more awe before the sublime than, say, ferocious argumentation or troubled sleep. I found 2010 to be a year of surprising strength, precisely because the films that commanded my attention most insistently (those by Apichatpong, Godard, Hochhäusler, and Kiarostami) were also ones that (with apologies to Ishiguro) never let me go. Other films exemplified this ethic of open solicitation, mutable form, and metonymic drift. In another key film this year, experimental manipulation of time and audience address took the form of an apparent blunder, until it was revealed to be an instance of nominally controlled chance. 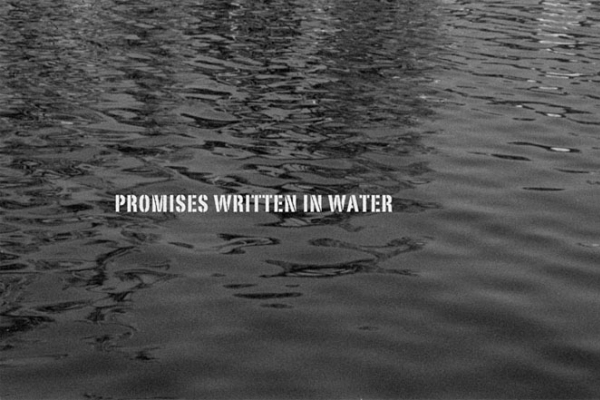 In Promises Written in Water, writer-director-performer Vincent Gallo is seen in a diner booth with his new friend/employer (Delfine Bafort). She asks him if he has spoken to "Colette." Pause. "Have I spoken to Colette? Oh yeah. I've spoken to Colette..." What follows has become semi-infamous, as much as any scene from an utterly obscure art film can. Gallo internally directs his own dialogue about Colette going to Thailand (eventually changed to Taiwan) with some 55-year-old guy, over and over. He stops and starts, letting the camera capture, in exacting Warholian detail, not only the (fake?) perfectionism of a director trying to nail a line reading, but a semi-closed diegetic world popping open into time-based documentation of a pure performative act. By exacting absolute lockdown over every aspect, every frame of Promises, subjecting his audience to what Michael Snow once called "eye and ear control," Gallo, paradoxically, generates a scene, and a film, that a) looks to the unsympathetic viewer like rank ineptitude; b) draws once again on his public persona (non grata), as the Hollywood prick we love to hate; c) has in fact produced broad fields and planes between the frames, spaces which we must activate with our vision and our listening. Huang Weikai's 58-minute Disorder, featured at Hot Docs 2010, is a black-and-white shot-on-video portrait of urban Guangzhou, but it's also a sustained fury of delirium. Tossed into a maelstrom of deracinated images from Huang's native province, we're left adrift and agog at brief scenes of traffic jams, floods, accidents, police violence, fools winding through lanes of heavy traffic, and so many, many farm animals gone astray. Programmer Sean Farnel has gone beyond considering Disorder a "city symphony," merely saying it's set in "Chris Marker-ville," and Huang's film is indeed an act of sustained bricolage, essaying contemporary China through a reported 1,000 hours of footage from amateur shooters, creating an eruptive, hallucinatory landscape, resisting narrative, that is both tactile and otherworldly. It may be the first great film of the 22nd century. Shynola's title sequence for Scott Pilgrim vs. The World brought the dazzling direct animation techniques of Len Lye, Norman McLaren, and Stan Brakhage to a 21st-century audience. This unexpected showcase for handmade cinema (made on sheets of clear acetate, which were then kicked around on the studio floor to accumulate hair and grime) provided the perfect contrast to Edgar Wright's restlessly inventive digital filmmaking, and served up the perfect visual metaphor for the emo heart beating at the center of the movie's 8-bit body. My favorite single shot of the year—that is, my favorite moving image—came from Tanya Hamilton's debut Night Catches Us, an ambitious and heartfelt film about Philadelphia's Germantown neighborhood in the summer of 1976. Near the end of the movie, an important plot development is punctuated by an unexpectedly beautiful image of fireflies rising, aglow, above a grassy vacant lot between two big disheveled houses. It's a sight to behold, and also—in the context of the movie, and scored by the Roots—an image both sentimental about the past and pitiless about people who can't stop living there. I could pick any number of passages from Giorgos Lanthios's engrossing, deeply unsettling Dogtooth, like the moment a young woman whose only contact with the world outside her parents' fenced-in compound breaks into an unhinged dance that slowly reveals itself as a funhouse-mirror version of Flashdance. But what stays with me, and continues to provoke a shudder, more than any detail of plot or mise-en-scène is the boneless slope of Aggeliki Papoulia's shoulders, the way her posture suggests a life lived in darkness, and the extent to which her parents' attempt to protect their children from the corruption of civilization has left their offspring stranded somewhere between human and animal. It's as if the movie has discovered a new state of being, one that's both fascinating and terrifying. Aishwarya Rai falling down the cliff to the water, her fall broken by branches and her suicide attempt thwarted. Very beautiful and poetic shot from Mani Ratnam's film Raavaan (Tamil or Hindi). Moments have become what our collective media-cinema current is all about—YouTubed, memed, linked, posted, tweeted, mashed, clipped, sampled and/or imitation-Gawkered, and this is where the present day style of "living" (really, it's not, it's "watching") and I part embittered company. I can muster engorged love for a gesture or scene or glance as well as anyone, and could go back two calendar centuries hunting for and finding transcendent cinematic spurts. But what's being overlooked amid this contemporary frenzy, which fulfills every dread we ever had about generalized post-MTV attention deficit, is the experience of cinema—a temporal form, after all—over the long haul, as accumulation and accretion, the whole of a coherent mythos rather than a single talisman or Minotaur. With films and phalluses both, length matters. So, for me, the year peaked twice but gradually both times: at the tail end of the experience of both Feuillade's Fantômas pentalogy (1913-14), new to DVD, and The Red Riding Trilogy (2009), two Homeric crime serials that, over five or more hours each, carve out no mere litany of narrative thrills, but a mysterious history of human venality in deathless struggle with innocence. Each submergent codex tells the secret of its city's soul, sings the hymn of sacrifice for all that face evil on their doorstep, and, due to exhaustive length and complexity, feels more like an epic investigation into a secret realm than a pulp entertainment. Somewhere in their fifth hours, you come to grips with something that the new media cannot come close to comprehending or accommodating; there’s no app for massive dream-haunting underground-culture saga. The devotion required is not a convenience after all.